The washing machine is as essential to a modern home as the roof is to the house. Washing machines are quite expensive. Most cost well over $2,000. If you are unable to spend that much money on a washing machine, there are budget options to consider. You can buy a small, compact washing machine for less than $300 max. 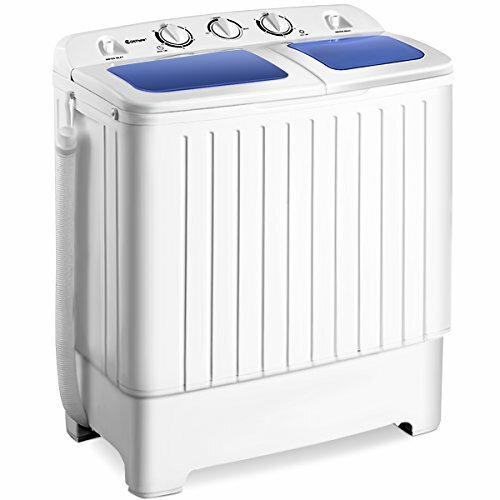 This is a great compact washer with two tubs. The capacity is small, but is enough for a single person use. I can usually fit about a pair of jeans and six t-shirts in a single cycle. It’s suitable for everyday use if you don’t have tons of laundry. Maximum capacity as listed in the manual is 11 lbs. The issue is filling it with water. I cannot automatically fill water or stop water flow. It comes with a hose that should be connected to a faucet. Or you can use a separate source, like a showerhead, to fill up the tub. It will have to be monitored, otherwise your house will be flooded. 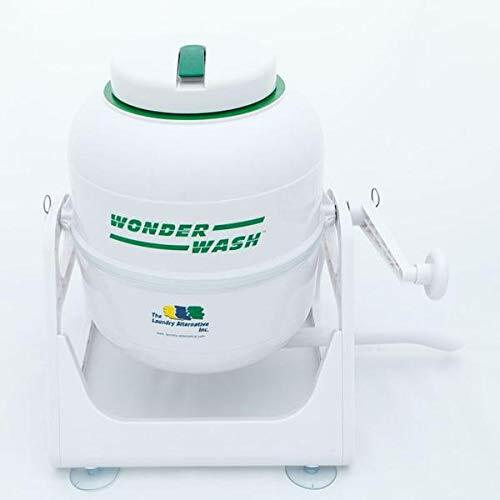 This is an eco-friendly non-electric washing machine. It has to be manually operated by turning a crank. It’s definitely not for everyone or every cloth. I have one that I absolutely love because it’s a better alternative to hand washing delicates. 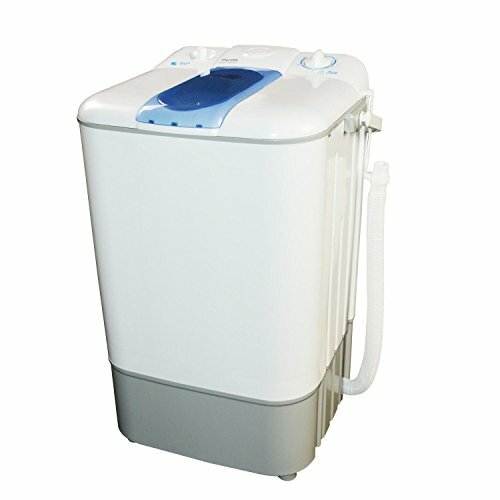 It won’t wash your jeans, but if you have undergarments or clothing usually unsuitable for a machine, this will be a great appliance to have. It comes with a 3-year warranty too. 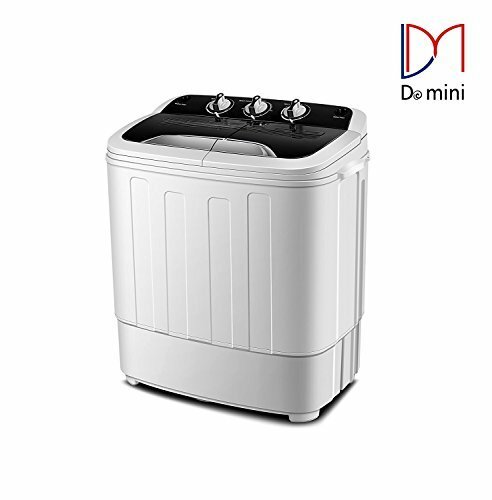 This washing machine is great for people who live in apartments without laundry facilities. A friend of mine on a student budget had one and he absolutely loved it. It has a water inlet unit but water flow has to be manually controlled. Installation is a breeze. Connect the hose to a showerhead or a faucet and you are ready to go. It can wash jeans and small comforters as well. Overall, this offers great value for people on a budget. This portable washing machine was bigger than I thought it would be. But it’s also lightweight thanks to the plastic construction. This machine is really easy to set up and also clean. It can wash about 6 items of adult clothing at once. It can wash jeans and work pants as well, but I recommend keeping the load light if you put these in. The spin dryer is quite good and leaves clothing with little moisture as possible so they line dry faster. As for cons, the lint trap is not very good. This washing machine is surprisingly effective. It weighs only 28 lbs so it can be taken just about anywhere. I recommend this for small apartments, dorms, and RVs. Operation is very easy, and only filling it with water takes time. I really liked it overall. Only complaints are the lint trap on the dryer side, and also the fact that it could really do with a buzzer. This portable washing machine brand is relatively new so I was skeptical at first. But this machine worked just like any other standard portable washing machine. The two tubs have 12.3 lbs capacity, so it’s suitable for small loads. Simultaneous operation between the washer and the dryer is possible to save time. Keep realistic expectations. 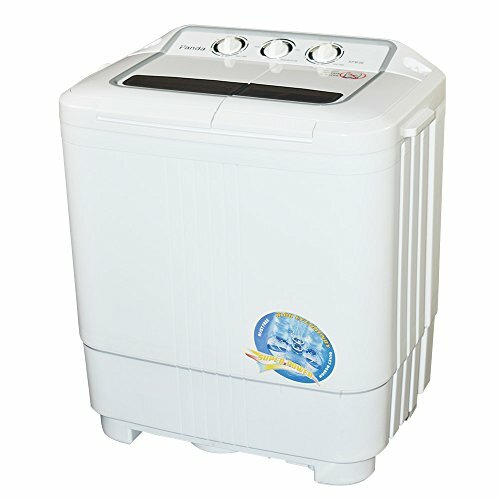 Ultra cheap washing machines are small and portable. So they are not suitable for heavy-duty work. If you are looking for a washing machine for a large household, you will have to be willing to spend thousands of dollars. 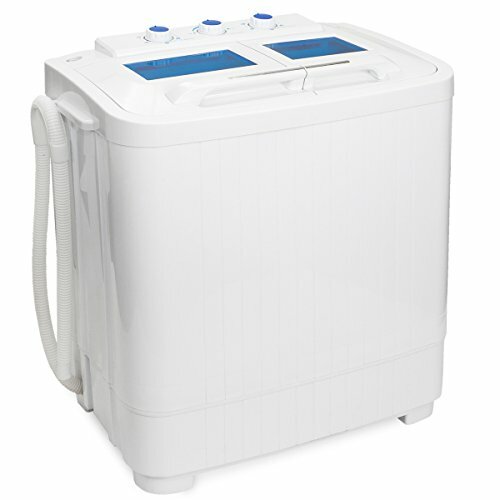 Budget washing machines are best suited for one- or two-person households, small apartment, dorms, RVs and condos. Always check for the water inlet and outlets. Make sure the machine comes with a water hose that can be fitted to a faucet or a showerhead. It’s best to check measurements for these before you make a purchase. The drain pump can be a pain with most budget washing machines. Make sure you know the capacity, and buy a bucket to make sure no expelled water floods your apartment or room. It’s highly advisable to buy a washing machine with a warranty or at least a returns policy in case the product you purchase ends up being defective. Read reviews before you purchase. I recommend watching videos as well so you know how the machine works before you buy.